Just returned from a whirlwind three-day trip to see family and attend related events back in my home state of Nebraska. 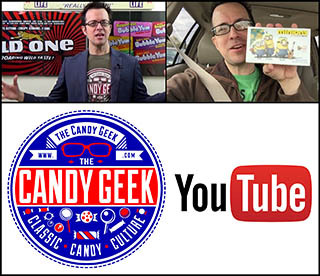 I hope to get back up to speed fast, and deliver some great bits of CollectingCandy.com fun this week. For today’s post however, the topic is a bit more somber, as it is one somewhat related to today’s holiday of remembrance; Memorial Day. Back in 1943, the Army approached the Hershey company with a request that they develop a chocolate bar that wouldn’t melt, for use in rations of soldiers serving in hotter climates. Hershey did so, and according to the Hershey Community Archives, they produced nearly 380 million of the bars for the U.S. Military before the end of World War II. With just over 13 million men and women serving across the three branches of the U.S. military during World War II (not to mention non-military support personnel), that comes out to about 30 bars each. That’s a lot of chocolate, though I suspect many were given out to children of war-torn countries as goodwill measures. 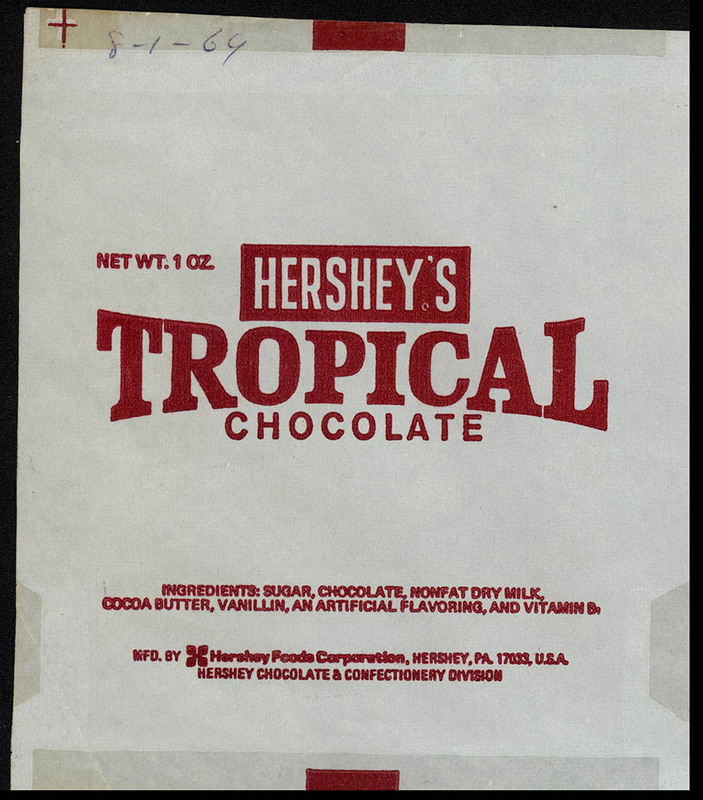 That first hot weather bar would come to be called Hershey’s Tropical Chocolate, as it could be carried in tropical climates without melting, and it would eventually be sold to consumers around the world. 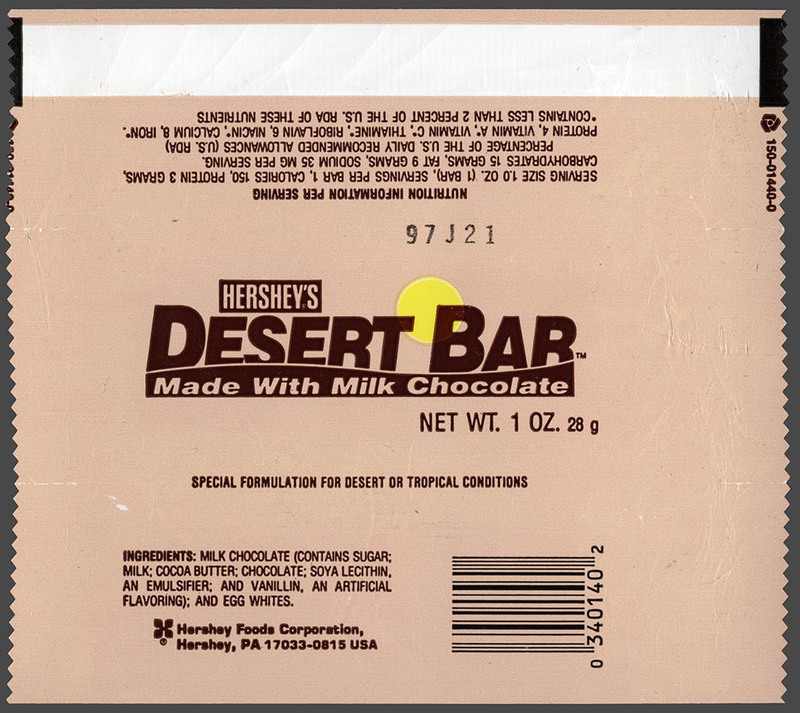 Based on the ingredients list, the Desert Bar may have been an only slightly-tweaked Tropical Bar, a Hershey product that had been serving soldiers for decades. The Desert bar was retired by 1992, and I’ve found no evidence that an equivalent confection has been produced for soldiers by Hershey since. Though war is never a trivial thing, I’d like to think that at times since their introduction, the sight of a chocolate bar brought moments of peace or enjoyment to soldiers and civilians in unfortunate situations. To the men and women serving around the world – I would like to thank you for your service, and for those that have been lost, your sacrifices are remembered. That’s it for today. I hope everyone has been enjoying their weekends, and spending quality time with loved ones. See you back here tomorrow! This entry was posted in 1960's, 1990's, Chocolate, Hershey, Uncategorized and tagged candy, chocolate, collectible, collecting, collector, Hershey, military, packaging, soldiers, sweets, vintage, vintage candy packaging, war. Bookmark the permalink. I have a case of (144 bars) desert bars dated March 1991 are they worth anything and could they possibly be edible??? Saw a posting you made in July 2012 about having a case of 144 Hershey Desert bars. Do you still have any of them? If yes, would you be willing to sell any? On vacation until Thurs. I’ll email what I have Fri..
Don’t know if you are still interested in the Desert Bars. I have two to sell. $2.00 each plus postage. I will buy them. How much you want? Is their any desert bars that I can buy ? Not anymore. It was a novelty bar available for purchase during Desert Storm in the 90’s.